Main Screen. Jumping off point to all included calculations and features. Range Calculation. PilotE6B / WX includes over 50 calculations and conversions. Most calculations are formatted like this Range calculation. Inputs are on top, results below. The calculation results dynamically update as you set the input values. Weight & Balance. 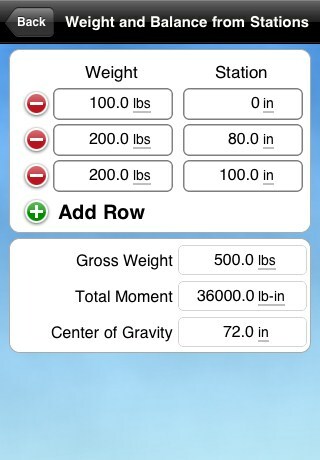 Calculate Gross Weight, Total Moment, and CG from stations or moments. 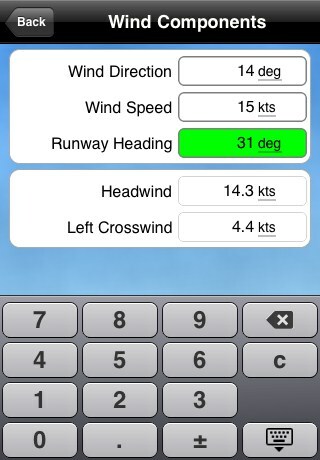 Wind Components. The results of this calculation dynamically update to display "Headwind" or "Tailwind", and "Left Crosswind" or "Right Crosswind"
Fuel Calculations. 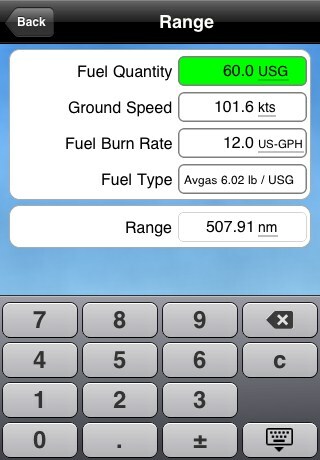 You can specify your fuel-type and specific-gravity for the fuel calculations. This allows the calculator to unit-convert from fuel volume to fuel mass. Time Entry. Calculations needing Time inputs can be entered using this HH:MM:SS spinner, or manually in hours or minutes using the numeric keypad. WX. Quickly retrieve METAR and TAF reports from NOAA. 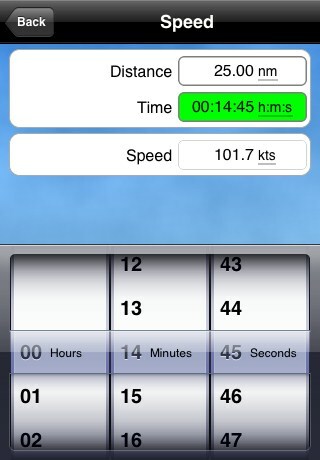 If your iPhone has GPS you can quickly get weather for your location without having to enter station identifiers. 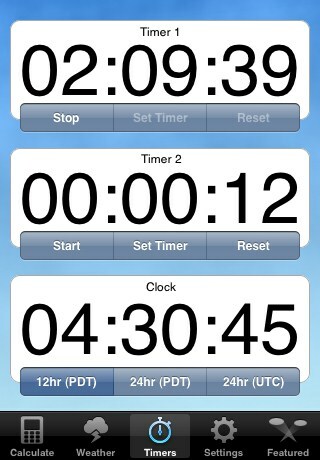 Timers. Two separate timers can count-up or count-down. See the local time in 12 or 24 hr display, or in 24-hr UTC. PilotE6B / WX is the premier aviation calculator app for pilots, including students, instructors, enthusiasts, and professionals. With over 50 functions and conversions, we designed PilotE6B / WX to be powerful, accurate, and easy to use – just like our popular PilotFAR / AIM and PilotPrep apps. Reduce flight-bag clutter and fly with us! All calculations allow you to specify the units of measurement used for each input parameter, and for each result. Never be confused about what unit a result is in. Real-time unit conversions allow you to change input and result units on the fly. Results from calculations are automatically carried forward as inputs for subsequent calculations. 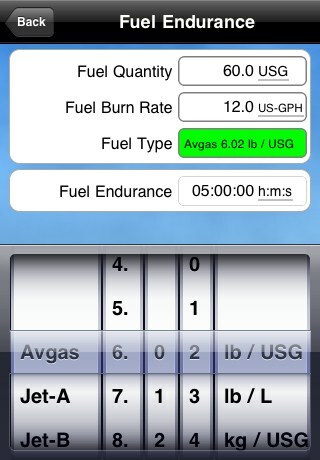 Specify fuel quantity or fuel burn rate in volume or mass units. Configure the specific-density for your fuel for accurate conversions. Specialized keypads for numeric entry, time entry, fuel selection, and unit selection. Quickly identify the calculation you need by its category, name and input parameters, shown in the calculation index. Thoughtfully designed user interface. Customize with different color schemes to your personal preferences. 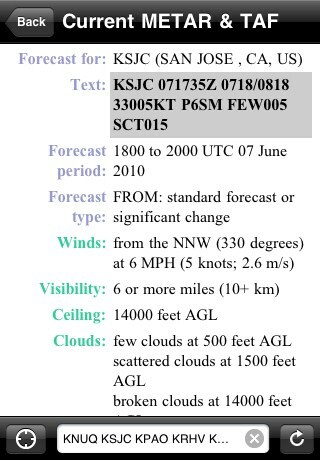 Retrieve NOAA METAR and TAF reports for any ICAO-identified station. 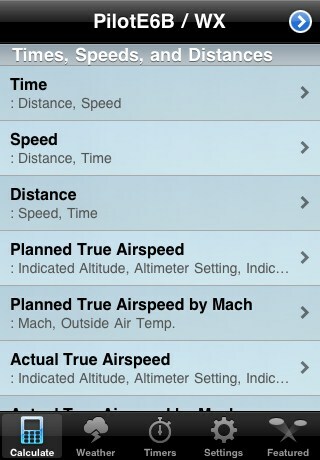 Use your iPhone GPS to automatically retrieve METARs and TAFs within a 50 mile radius of your current location. Access your frequently-queried METARs and TAFs quickly without re-typing. Time display in local 12 and 24-hour display, 24-hour UTC display. Students: Please note that the FAA does not permit iPhone-based calculators to be used during your knowledge exam.